If you’ve never been in a position to taste homegrown vegetables, you’ll be surprised how sweet and juicy they can be to supermarket bought product. Growing them yourself can be super easy, so nothing is holding you back from starting your own veggie garden regardless of the amount of space you have. Although gardening for beginners can seem daunting, it is much easier than you think once you follow a few simple tips which will get you started. Your vegetable garden can be a large area of the garden, or you can plant in raised beds. These utilize a smaller space although they can produce bumper crops. If these are still too large, you can use containers which can be placed on patios, balconies or around different areas of your home. Sunny Spots – vegetables love around 6 – 8 hours of sun per day, so areas which catch lots of sun are the areas you should choose. Good Soil – This is one of the most crucial factors, and if you are planting directly into the earth, your soil might not be ideal. A good compost or manure which is tilled into the freshly dug soil will offer nutrients and aid with drainage. Raised beds and containers use potting soil, so they don’t need as much preparation, but veggies can never have too many nutrients. Many beginners to gardening attempt to grow too much too soon. The ideal size of plot is 16 ft. X 10 ft. with rows planted north to south to catch the most sun. If you are using raised beds, these are constructed to be around 8 ft. x 4 ft. while containers can be any size, as long as they are about 12 inches deep. Some vegetables might yield more than one crop per year, so re-planting is a possibility with some added nutrients from your compost or manure. Once you have your space dug and prepared, you need to follow a brief guide on how to plant your veggies. 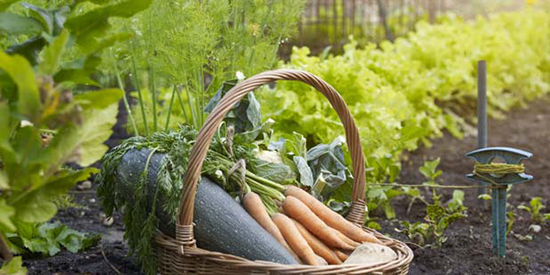 Here are pointers on how best to plant your vegetables. Spacing your crops – most seeds give information on how to space your veggies, and if you are buying plants which have already sprouted, you can quickly ask for advice. Generally, the rule is to give your vegetables enough room. A good example being tall plants which cast shadows over smaller veggies. Plants should also be given their own space to gather sun and enough space for when you begin watering them.